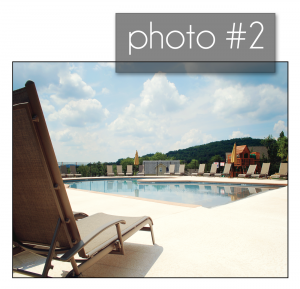 Can just the angle or the way you frame a listing photo for your vacation rental property really make that big of a difference? Absolutely. There is a massive difference between just taking a shot and composing a photograph. 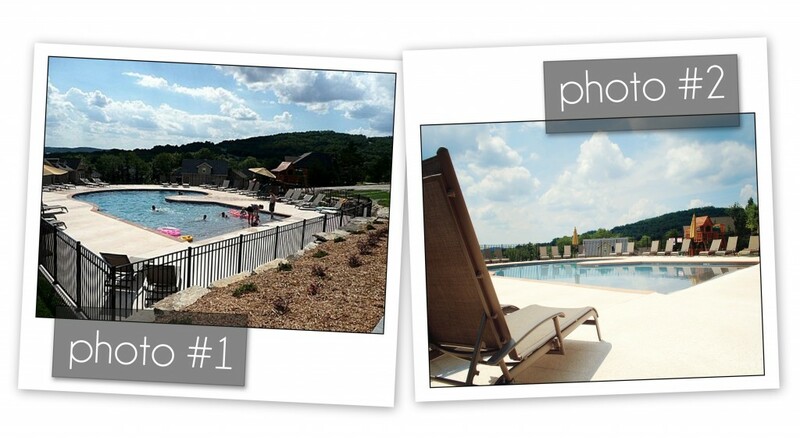 However, at which pool would you rather be spending your time? The one in the second photo? Me, too! Why is that? Let’s take a look at the composition of the photos and the subconscious psychology that is created. However, that is where the similarities in composition end. What is the first thing you notice that is different between the two photographs? The people – or the absence of them. Would you like to be at the pool filled with floaties and little kids or the one void of distractions? As a traveler, I would prefer the swimming pool all to myself. I don’t want to share it with others, especially if there is a high chance of getting splashed in the face – I greatly dislike being splashed in the face. Now look at the water in the swimming pool. One has choppy water – almost as if the wind is blowing, making it seem kind of chilly. I don’t know about you, but I am not too keen on being cold when I am at the pool. The second photo has calm water, nearly as smooth as glass. The silkiness just beckons to be stepped into, doesn’t it? I bet the water is warm, even. Yep, I can imagine dipping my toes into the water right now. One more observation: how about the chairs? 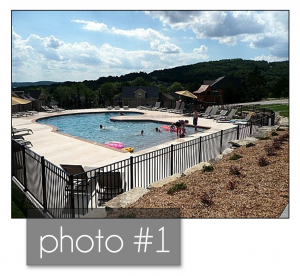 I guess we need to hop the fence before we can relax by the pool in the first photo. Fences are a must for safety, but visually, the fence creates a barrier between the traveler and the pool. Check out the second photo again. The chair is right at your fingertips. There is no barrier between you and relaxation for the afternoon. The chair is set up perfectly for you to step right into the scene and put your feet up. The same swimming pool, two different views: one beckons, the other is just there. Why is it important to relay more information about your vacation rental property than just the bare facts? Because you are selling something. You are selling time – vacation time to be exact. Travelers are looking for a spectacular vacation, and they are searching for a property to fulfill their needs. 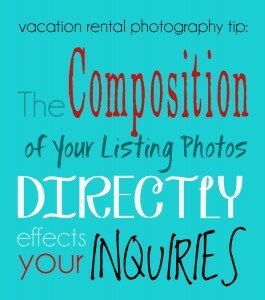 You can show guests that your property is the ideal choice simply through the way you create the photographs you use to market your vacation rental property. Set the scene, enticing them to step into the photo to getaway. Corona beer executes this concept perfectly with their commercials at the beach: eye level, a couple just in front of you with their feet in the water, watching the world go by as waves crash against the beach. You can almost feel the sand under your toes, which is exactly what Corona wants: you can imagine yourself there, experiencing the relaxation – Corona in hand. The photographs of your vacation rental property need to create that same type of draw if you want prospective guests to not only choose your property, but also to desire your property. When a traveler desires your property, they are willing to spend more money or to adjust their vacation plans just to make it possible to stay at your property. They will call you. As more and more vacation property owners join the rental business, the marketing aspect becomes ever more important. 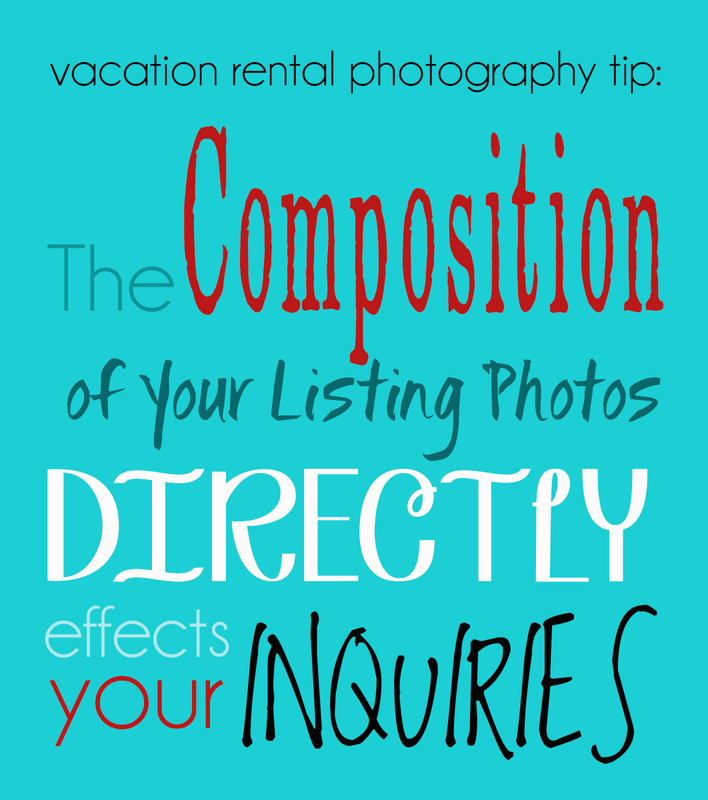 Photographs are the first thing a potential guest will see when searching for a vacation rental, thus making it imperative that your listing photos aren’t just good, but spectacular. Tyann Marcink is a photographer in the St. Louis area. She and her husband Mike own two vacation rental homes in Branson, Missouri, and have hosted more than 3,000 guests in the past six years. Once you have your more set costs sorted, how do you budget for the rest? A lot of owners don’t have a strict budget for their vacation rental, but we connected with three owners to find out what they prioritized — and how — as they got their rental business up and running.